The New Year is upon us Kelowna! As you look around your home or office, how do you feel these days? Are you enjoying your current view? Perhaps you have recently updated your furnishings or repainted the walls. 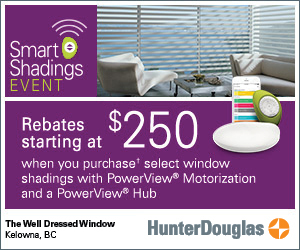 The Well Dressed Window in Kelowna asks when was the last time you concentrated on your window treatments? Updating your window coverings can dramatically enhance your ambiance, instantly changing the mood of a room. Add a panel of your favourite colour, enjoy some wispy sheers, choose some elaborate drapes or opt for some Hunter Douglas motorized blinds. Ring in the New Year with a fresh take on your window treatments. Does a busy neighbourhood surround you? Perhaps some of Kelowna’s latest multi-family construction is scheduled to begin in your area. Maybe you need some thicker window treatments to help muffle the constant sound of traffic? The Well Dressed Window can assess your privacy concerns and provide a variety of satisfying alternatives to choose from. Increase your home or office security without losing your stylish vibe. Why not tie in your favourite material features throughout your space? Michelle from The Well Dressed Window has an intricate design background. If you want your new drapery or curtains to match a bedroom headboard, upholstery cushions, a window seat or anything else you desire, she can help you pull your entire room together by anchoring your window coverings alongside any special features. Personalizing your space can be fun and rewarding. Depending on the direction your windows face, you may want more control of light or privacy in particular rooms. Blinds may offer you more flexibility in terms of adjusting the light throughout the day. The Hunter Douglas motorized blinds are a brilliant way to incorporate some smart home technology into your home. How many times this winter have you arrived home to a dark house with your window treatments still open from the morning? Avoid alerting everyone who drives by that you are not home by simply pressing a button on your phone or pre-programming a timer to follow the sunset and sunrise. It’s totally fine if you simply know it is time for a change but have no idea where to start. The Well Dressed Window is always happy to show potential clients our expansive selection of fabric and blind samples, along with our extensive portfolio. The possibilities are endless! There is no need to be overwhelmed with decision making. The Well Dressed Window knows every aspect of your window covering transformation and we are happy to take the measurements and recommend specific hardware as required. Is 2018 the time for you to sit back, relax and admire your new view? 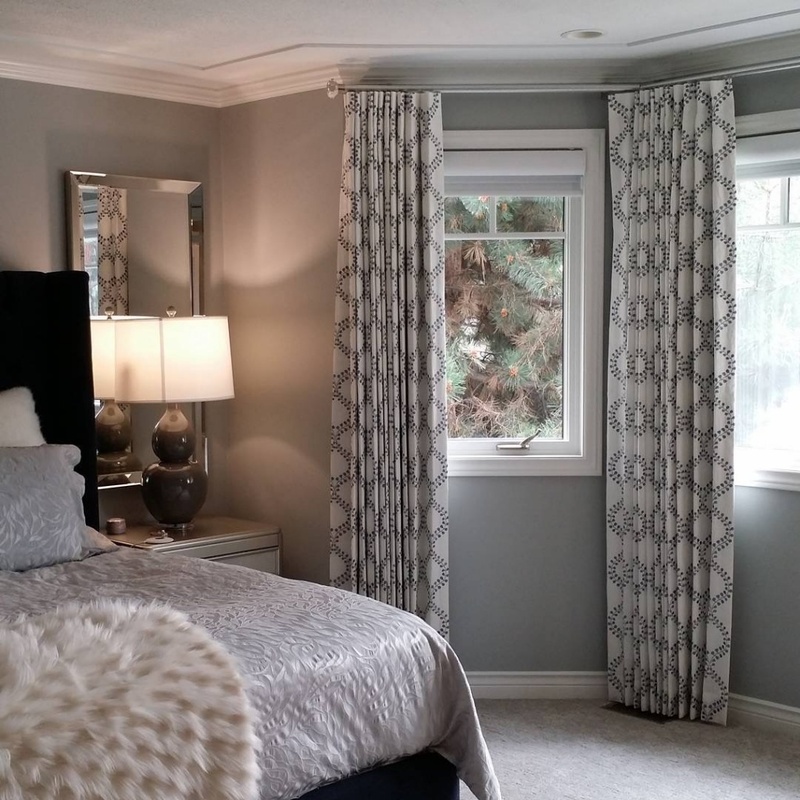 Book your window covering consultation with The Well Dressed Window in Kelowna today. 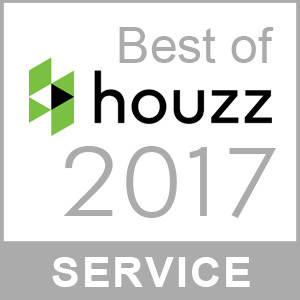 We look forward to helping you love your view like never before!